Going once, going twice, sold! We had a blast at our auction on Friday. 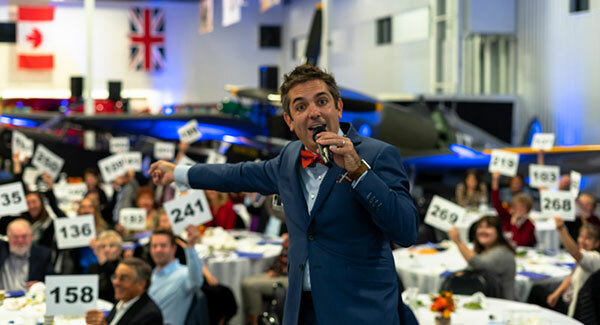 Auctioneer Fred Northup kept our guests thoroughly entertained the entire evening. Photo by Jason Brown. 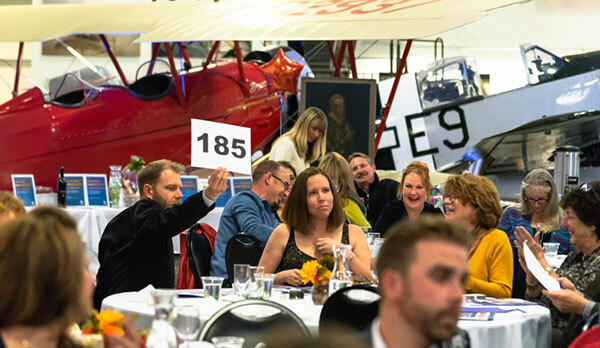 Our heartfelt thank you to all the guests and donors who participated in this year’s “Bids for Builds” Auction on October 5th. Your incredible generosity will make the dream of homeownership a reality for 25 families. We are delighted to share that the event was a huge success and a memorable evening! An especially large thank you goes to more than 115 local businesses for their overwhelming generosity and partnership. Such outstanding support from our community brings to life the Habitat mission of “bringing people together to build homes, communities and hope". If you missed the auction, you can still support our building projects by making a donation. Karissa Wood shares her story about growing up in a Habitat home and her success in the business world. Photo by Jason Brown. Karissa writes, "This is the second time I’ve been asked to share my family’s story at a Habitat for Humanity event. I thought it would be easier this time since I had already shared our family’s story once before, but it was as much a challenge this time as it was the first. There are so many emotions that are brought up when I think about what my family has been through. Standing in front of an audience sharing my family’s journey from a picturesque life to complete ruin was challenging. It was important for me to show everyone how having a steady and stable home (thanks to Habitat for Humanity) allowed us to not only recover from the tragedy we had lived, but to show how it gave us confidence and fostered a hope that everything would be okay. That confidence allowed all of us to pursue our dreams, instead of becoming victims to our circumstances. I am incredibly proud of my mother, myself and my siblings accomplishments and being able to share where we are now versus where we could have been is so humbling. I am grateful for the opportunity to share our story and I hope that it encourages others to give, because giving makes an impact. Like I said on Friday night, every hammer that was swung, rang out to us saying “you are important”, every shovel of dirt and the gravel that was moved, spoke to us that the weight of pain in our past was moving away. All the paint, tile, flooring and fixtures – added not only beauty to our home, it added beauty to our lives and encouraged us that people who didn’t even know us, cared about us, that they wanted us to have a home and a good future. And a good future is truly what we have." Her mom, Kristin Bakker, writes about being a partner family with Habitat for Humanity. "It was was an amazing process and I am forever grateful to the many hundreds of volunteers who helped build our home. Some people just came once, others were there every week. People giving their time, talent and treasure sent a message to my children that they were worth the effort. And that effort provided a stable place to come home to everyday where we felt loved and protected. The investment was worth it and now we are a family doing our best to pay it forward." 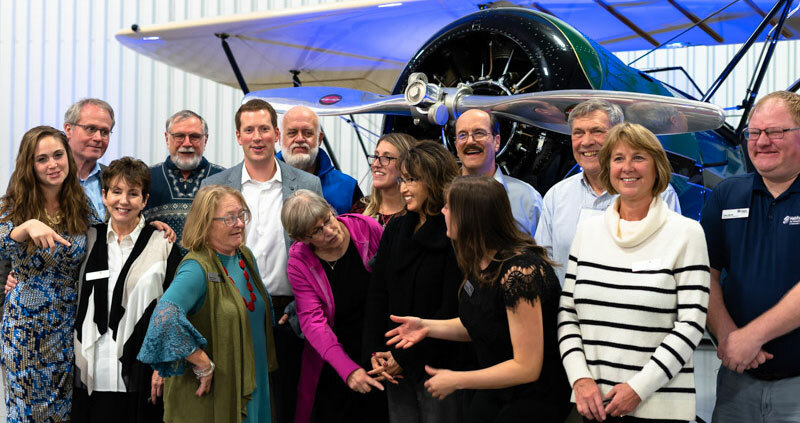 The Historic Flight Foundation was the perfect venue for our event. Private tours in vintage aircraft were very popular auction items! Photo by Jason Brown. 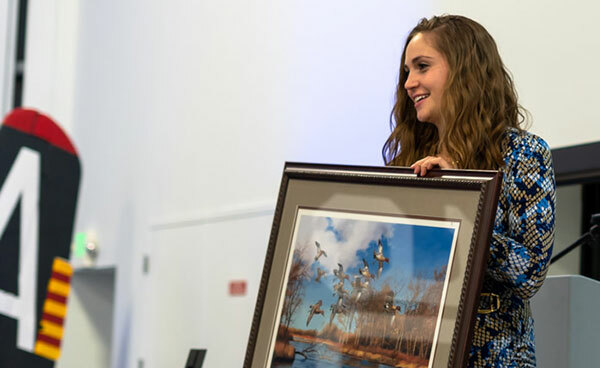 Mellay Gardner, Resource Development Manager, provided leadership to our staff, board and volunteers for our very successful auction. Photo by Jason Brown. Habitat Snohomish board and staff seem to have difficulty standing still for a group photo at the close of the event. Photo by Jason Brown. In October, an Everett Naval Station Unit kicks off the first of our team build days at our Veterans Build in Gold Bar. Both our current AmeriCorps VISTA members will attend the AmeriCorps Washington Swearing-In Ceremony on October 26th. Habitat Snohomish is always looking for new volunteers. We currently need volunteers in our Lynnwood Store and on our Donations Truck! We are also scheduling group build days at our Veterans Build in Gold Bar. If you’ve never volunteered with us, please sign up for a new volunteer orientation here. To schedule a group build, please send an email to Katie Rickel by email or call her 425-405-7156. All new volunteers are asked to attend a new volunteer orientation prior to serving with us! The upcoming orientation schedule is below. Volunteers must sign up here for the orientation they wish to attend.